Peaches & Cream + Strawberries & Cream = Mouthgasm. How are you today? 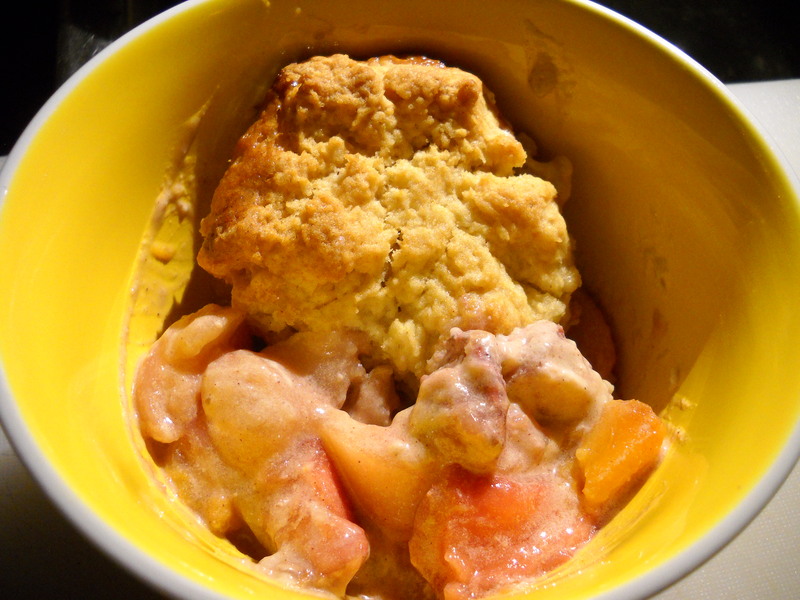 Personally, I had a wretched day so I decided to do a late night post about a cobbler. Bad day make me sad panda. Cobbler make me happy! And foxes. 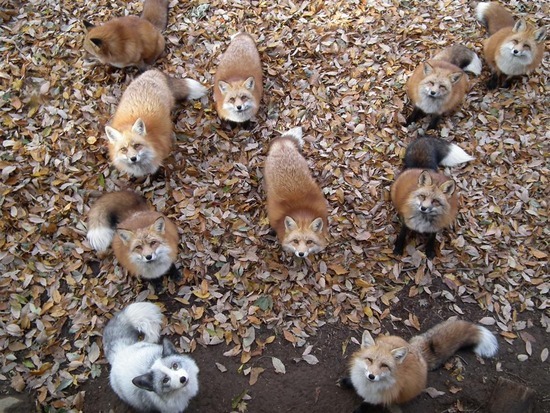 These foxes make me VERY happy. I somehow clicked my way to a really great blog called Eat the Love. I don’t know much about it yet, but it seems to be written by an intelligent, talented and creative award-winning baker named Irvin. He has a handful of vegan recipes for what sound like some incredible treats and a plethora of mouth-watering gourmet sounding desserts and sweets. Anyhow, I’m sure I’ll learn more about him and his blog as I follow it, but basically I love him already. 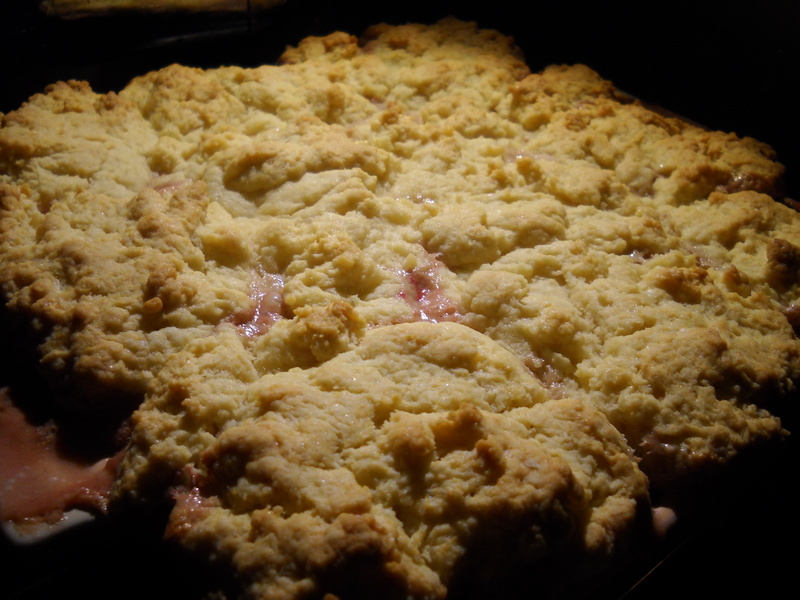 I found this recipe for Peach, Strawberry and Cream Cobbler with pieces of Crystallized Ginger. The original recipe wasn’t vegan, but I only had to sub out a few things. The result was a cobbler to die for. I’m talking serious mouthgasms people. Like, I took a bite a quickly went to another place where there were a lot of rainbows and unicorns. And Bill Hader. He was also there because I heart him. This cobbler is luscious! Luscious I say! I decided to use a combination of yellow peaches from my peach tree and white peaches from the farmers market. A wise choice, a wise choice. The recipe called for a bigger baking dish, but I don’t have a nice looking 9X13, so I squeezed this recipe into a slightly smaller dish than needed and it still worked out very well for me. The biscuit topping baked up perfectly as well, slightly crunchy/crispy top with moist, fluffy biscuit underneath. Mix some of that good stuff up with the filling and let your eyes roll back in your head. 10 Tbsp cold Non-hydrogenated, non-dairy margarine (I used Earth Balance) Coconut Oil or the new Earth Balance Coconut Spread may work too. Don’t refrigerate your coconut oil. Ever. *Optional- You can also leave the sugar out if you’d like to sprinkle some of top of the cobbler. I didn’t do this, but I’m sure it would be a delicious addition. Peel and cut the peaches into slices no bigger than 1/2″. If you’re not sure how to peel a peach, don’t worry, it’s easy! Just boil some water and blanch the peaches. The skins will slip right off. Combine the peaches, strawberries, ginger, golden brown sugar, arrowroot and lemon juice in a bowl. Set aside to macerate. Go back to the bowl of peaches and measure out 1/8 cup of the juices from the bowl. Drain the remaining juice out of the fruit through a strainer or colander. Then add the fruit to your baking dish. Beat the reserved 1/8 cup juice into the vegan cream cheese, and then beat in the coconut milk creamer until just incorporated. Pour the cream cheese mixture over the peaches and strawberries and put in the oven for 20 minutes uncovered. You may need to to put the cobbler on a rimmed baking sheet or line the bottom of your oven with an old cooking/baking sheet. Since I used a smaller dish, I had some drippage. I was prepared though, so it wasn’t really too much mess. Take a small break (Irvin suggests you wash some dishes in this time and I agree!) Then make the biscuit topping. In a large bowl, mix the dry ingredients together (flour, sugar, baking powder, baking soda, salt). Spoon the Earth Balance into the bowl using a tbsp. If you have the Earth Balance sticks, cut them into 1/4″ or so pieces.Use a pastry cutter/whisk and cut in the Earth Balance until the mixture starts to resemble coarse meal. Alternatively, you can do this in a food processor. I like to make dough by hand, though. Fold in the yogurt and mix until a dough starts to form. As usual, be careful not to overmix. Divide the dough into about ten or twelve 1/4 cup chunks. Once the 20 minutes are up, pull the baking dish out of the oven and evenly distribute the biscuit dough on top leaving about 1/2” space between the dough pieces. Ideally, you don’t want the dough pieces to touch one another, but mine were all kinds of close and touchy feely because of my choice to use a smaller dish. It was not a problem for me. Now, you can sprinkle that optional sugar on top that we discussed earlier. If you’re not using the sugar, just pop this baby in the oven for another 18-20 minutes or until the biscuits are golden brown and the filling is bubbling. YUM! That looks wonderful! Seems like a lot of ingredients, but I bet it’s totally worth it! I love finding new recipes that use So Delicious coconut milk products. I have bookmarked this one, and hope to make it this weekend. Thank you for sharing! This looks delicious. I can’t cook right now because my kitchen is ripped apart but I am drooling looking at this can’t wait to try it.